I am ashamed to say that the coming of spring at my house, is marked by the annual “Shaving of the Entire Leg” event…as opposed to only the lower half. Sitting on the edge of the bathtub, with one leg painfully stretched high above me, resting on the shower wall, I curse the societal demand for, and torturous methods of female hair removal. Spring and summer mean months of this nightmarish, weekly torture drill: wax, shave, pluck. Wax, shave, pluck. Yank, scrape, rip…repeat. It is for this reason alone that I hate summer. I am a snow bunny. Keep it all covered up. Define it as a “warming layer.” Refer to it as insulation. But I don’t. I yank, scrape, rip and repeat. Toweling off in front of the mirror, I check the result. Front side…not bad…only four open wounds. Back side…about average, I’d say. From the very edge of my buns, all the way down to the back of my knees, I am a solid mass of festering red bumps…ready for booty shorts. Believe it or not, this nasty regimen reminds me of a rather interesting account not so long ago with two mischievous little fellows of the frisky age of five. One of the boys was my charge, and the other, his best friend in preschool. Each of the boys has a younger sibling, so Friday afternoons are spent enjoying a loud, energetic, three-hour playdate. The two elder boys are MIA and a heavy stillness fills the room. Even the two younger children know that there is serious tomfoolery afoot. I tie the two younger children into highchairs with a cup of milk, a few crackers, an episode of Barney, and begin to swiftly track the small outlaws. Time is of the essence here. These boys must be found before the smell of smoke can be detected or water begins to trickle down the carpeted stairway. I’ve gotten really good at this “hot pursuit” stuff over the years. Learned the fine art of scanning the horizon for clues, sniffing the air, cocking my head to catch minute noises, all while moving at a rather impressive clip for a chubby chick. I notice that the baby gate blocking the stairway is open…the boys are upstairs. I move like the wind up the staircase and stop to sniff and listen at the top, where I can hear whispers coming from the parent’s room…a really bad sign, since the children know this area is off limits. Peeking around the corner, I realize the whispers are coming from the master bathroom, so I creep to the bathroom door in time to hear some of their conversation. “…and look, it’s got some little hairs in it.” One of the boys is saying. “Eeewww…why?” asks the other, whose voice I recognize as my charge. “I don’t know. Go ahead…touch it.” Urges the friend. I know not what is happening, but I know this…it must be stopped. Immediately. “WHAT ARE YOU TWO JUVENILE DELINQUENTS DOING IN HERE?” I shout, way too loudly for the small space. The two-five year old boys nearly jump a foot off of the ground and turn, red faced and shaking. “Nothing,” they say in unison, although they are clearly attempting to hide whatever dried up, stinky item with little hairs in it, lurks in mommy and daddy’s bathroom. The boys look terrified. However, I must admit…I am terrified. I believe wholeheartedly that we do not need to know what other human adults harbor in their bathrooms…especially those that may smell odd, or contain any type of unattached hairs. But I have come this far, so I press forward. “His mommy’s collection of what?” I ask, although I am afraid of the answer. “Ear wax.” He answers quietly, his head held down in shame. “Eeewww!” says my charge, recoiling from the glob. I stifle a snicker. “Well then…if I were you two, I would get downstairs pronto, unless you are hungry for peanut butter and ear wax sandwiches! All I can think is…A hairy glob of ear wax…Bravo, Daddy! Bravo! At home I own my own glob of hairy ear wax. I believe I will bring it to work with me. It appears to work wonders! 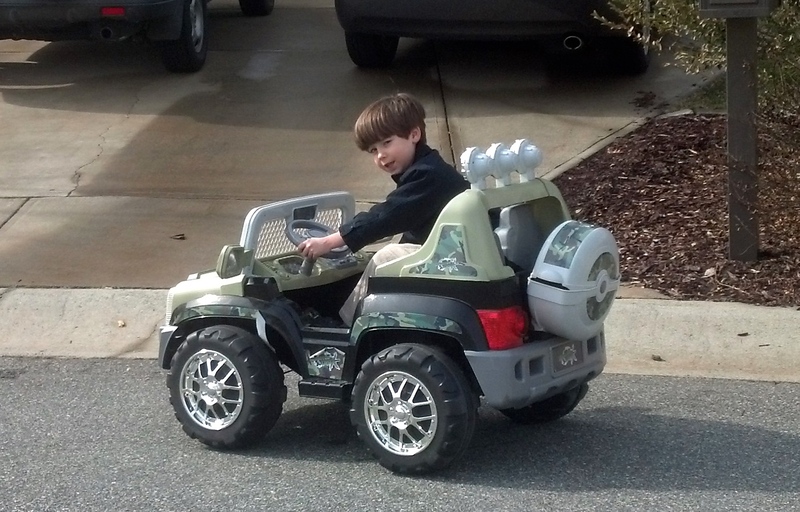 The Little Car Enthusiast – Every Neighborhood Should Have One! Late one Friday afternoon, at the end of a particularly exhausting week filled with two cantankerous toddlers, fully engrossed in phases of the psychosocial crisis that throw entire families into upheaval for at least three years, I pull my car into the driveway and sit in the driver’s seat, staring blankly at the garage door. I am feeling exactly ninety six and one half years old, and at least five hundred and ninety six and one half pounds. Therefore, instead of moving, I sit and fantasize about sleeping in my car and easier ways to make a living. I wonder if I might enjoy selling shoes? The hum of a small engine interrupts my rumination, just as I am conjuring a vision of measuring the cast of “Duck Dynasty’s” naked, hairy feet (thank God). I am not sure what a cylinder is…much less how many I own. In fact, today, I’m not sure I know my own name. I step out of the car and stutter a bit. Thankfully, the tot’s father interrupts the painful moment. “Why don’t you say goodnight to Nanny.” He says to the boy. “Goodnight.” He says casually, as he backs his truck easily out of the driveway with one hand. With that, the tot returns his sunglasses to their correct position, and pulls forward with a jump and a slight squeal of miniature tires. I believe he even sprays me with a pebble or two, leaving me in a mini dust cloud with my mouth still hanging slightly open. This, I have learned since, Is a toddler peel out…and he does it with style. Yes…he has style. I, however…I’ve got a nice tail pipe! A bright smile spreads across my face. I suddenly feel so light and energetic! “So, I’ve been thrown up on twice today. Who cares if I have peas in my hair and poop on my shirt. I’ve got a nice tail pipe! I swing my nice pipe around and swish it toward the house with great enthusiasm. “Hey kid!” I shout, turning to look at the tot. I pull my sunglasses down, looking over them, and strike my coolest movie star pose. He stops the car and awaits my response. “Catch ya on the flip side.” I quip, holding one thumb up, seventies style. “Huh?” he asks with a wrinkled nose, clearly confused. “See ya.” He says, steering his truck with one hand, waving with the other. How is it that this kid is so much cooler than I, and a better driver? I decide, I don’t have to be cool…I’ve got a nice tail pipe. Again I smile, swinging and bouncing my nice tail pipe into the house, hoping as many neighbors as possible had the chance to witness the scenery for themselves. I love that kid. I love my job. What a great day! By the way…I apparently own six cylinders. The cool kid must have done some research. He informed me during a later encounter. The most prominent spot on the front of the refrigerator in my employer’s home…the very spot reserved for exclusive preschool art projects…is the permanent home of the most repulsive photograph ever taken in the history of mankind. It would have been destroyed long ago, had it not been such a source of pride and personal achievement for one of my young charges, a tender four years of age, at the time of the dreadful incident in question. The spindly 24 pound boy spends many hours recounting the story, carefully saving the big “wow moment” of the visual aid for very last. The retelling never fails to produce just the right mixture of choke, gasp and strangle, that fills my young charge with utter triumph, and inflates his esteem, until it is in danger of rupturing. It all started, as I remember it, in a small, odiferous bathroom, standing in front of the toilet, flanked on either side by my two, pint-sized charges (ages two and four). The three of us, wordlessly staring down into the porcelain abyss with wrinkled noses, lost in individual thought. My own sounding something like this…”Yes Mr. King, I too had a dream. I was going to save the world…holding an extremely high level position in ‘Worldwide Health Initiative,’ or some other fabulously influential, humanitarian organization. Wearing a stunningly professional, yet feminine suit with tasteful heels, saving the world from disease, hunger and social injustice, without ever mussing my hair. But alas…it is not meant to be. For here I stand…a fabulously un-influential, Professional Nanny, wearing jean shorts and a white t-shirt, with splatters of chocolate milk bedazzling the front, staring down into a toilet, wondering where on earth my life went wrong. The shivering four year old boy breaks my trance, as he carefully slips his thin hand into mine. “What are we going to do with it, Nanny?” He asks, in a shaky voice. The “it” causing all of the befuddlement, is a solid pile of waste matter, comparable both in size and odor, to one that might be expelled by an elderly, male rhinoceros. This particular mass, however, has miraculously escaped from the body of the scrawny four year old boy, standing at my right. The child is looking from the heap, to my face, trying to decide whether or not he should be afraid. The boy’s sister (age two), standing on my left, IS frightened, as she stares at the smoldering pile with wide eyes, repeating an elongated form of the word “wwwhhhoooaaaaa,” over and over again. I must admit to being thoroughly perplexed by the thing, having never witnessed such a voluminous expulsion in my life…with the possible exception of the zoo. However, it is not merely the size of the beast that is so mystifying. It is the fact that it is one, uninterrupted, extremely elongated mass, coiled like a thick, brown snake at the bottom of the bowl. I look down at the hideous mound and back to the spindly boy. Physiologically impossible! “Let’s flush.” I announce cheerfully, after what seems an eternity of contemplation. I do so. The thing remains motionless. Both children look from the sitting mass, then up to me. “Oh Crap!” I think. Literally! The three of us gaze down into the bowl at the monstrosity until the water stills. A stinky silence hangs in the air. “Let’s flush again.” I offer, a little less confident this time. I do so. The gigantic “it” moves approximately 1/8 millimeter, then is once again motionless. My thoughts begin to shift at this point, as I am now faced with what to do with this mutant. Does one shove it down? Does one break it into more manageable pieces? And more importantly, with what object would one accomplish such a task? Is there a specific product already in existence…The Poo Poker 2000, only $9.95 plus shipping and handling? “Nanny?” The four year old whispers in a quivery voice. “Don’t worry, Sweetheart.” I say, comforting the lanky tot. “It’s no big deal. Nanny will fix it.” However, as I say these words, I notice a huge smile, slowly spreading across his face. “I think you’re right, Bud.” I reply. “I want to take a picture to show Mommy and Daddy!” He shouts excitedly, running to grab the camera. 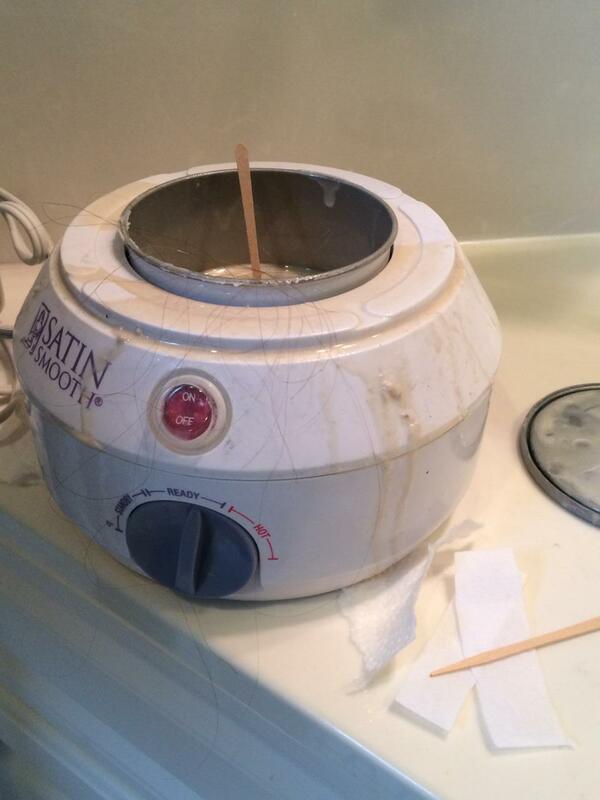 He hands me the camera and I shoot a picture of the putrid mass, stubbornly stuck to the bottom of the bowl. “I will name him, “MR. BIG FOOT,” he proudly announces, arms spread wide, as if introducing the winner of the Nobel Peace Prize. “Mr. Big Foot…wwwhhhoooaaaaaa!” whispers the two year old. Without going into further detail, let’s just say that it takes roughly 15-20 flushes (without the use of the Poo Poker 2000), to dislodge a glued mound of waste matter, approximately the size of a loaf of sandwich bread, from the bottom of a porcelain bowl. This allows a good bit of time for reflection. What are they feeding this child at night…Elmer’s Glue? Should we cut back on the child’s fiber intake? Is this a hereditary trait? If so, it must come from the father’s side. I thought, perhaps the photo would work as a nice appetite suppressant in it’s spot, front and center, on the refrigerator. Sadly, I can now eat a large bowl of chocolate ice cream while staring at it, without so much as flinching. In the end, I suppose it matters not where we acquire our sense of self worth…even if it is just a big load of crap. What matters is that we build and maintain a big and healthy one. Let us all take a lesson from our shorter, and less polished counterparts, and celebrate more of our personal victories in life…no matter how unpalatable. I would, however, suggest that the photographs remain private. In the weeks following Christmas, I generally find myself confined indoors with my small, frisky charges due to arctic weather, and whichever horrific strain of Bovine Projectile Diarrhea Virus that happens to be plaguing our small corner of the world each year. Just when you think you’ve had everything…there is always something new and exciting to catch, and no better incubators on earth, than our darling, little walking petri dishes. “She doesn’t?” I ask, a little confused. I am not exactly sure I have heard her correctly. In fact, I am praying I have not heard her correctly. Being blissfully average, I ask her to clarify. “Excuse me?” I ask. She is annoyed, as evidenced by her hands-on-hips, eye-rolling stance. “I said, I would wike my WABIA up her PWEASE!” No mistaking her this time. “Don’t react,” I tell myself, as I place her in a sitting position atop the ball. I slowly begin to bounce her, as she happily sings a song she has made up: “I wike to bounce, I wike to bounce, I wike to bounce on my wabia.” My Knees buckle a bit and my head is feeling dizzy. I desperately need my happy place. It is then I realize, I have never heard the word “Labia” spoken aloud, even from my Gynecologist. How is it, that I have made it all the way into my forties, without ever having heard this word spoken aloud? Hearing it pronounced as loudly and casually as the word “cheeseburger,” and by a tiny person who resembles a beautiful garden fairy, renders even the mouthiest among us completely speechless. “Oh great,” I say under my breath. 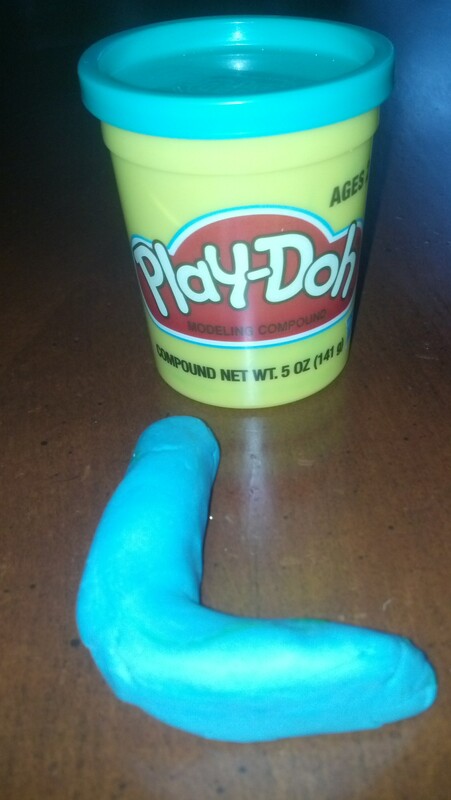 “Thanks a bunch, Mommy.” I have a sneaking suspicion that I might be in trouble with this next activity as well and would just like to state for the record…There is absolutely no way I am spending the next hour making a Play-Doh wabia! Glory to WHO in the Highest? We are all painfully aware that children between the ages of two and seven are sweepingly egocentric. This, of course is through no fault of their own. It is one of many super-fun stages of human development in which your small, mouthy, offspring, has absolutely no ability to view any situation from any point-of-view, other than his/her own. The other nifty little fact for folks of this tender age, is the absolute belief that the sun, moon and stars, rise, set and revolve around just one individual…themselves, of course. The rest of us poor saps were put upon this earth to serve, and it’s clear by the number of temper tantrums, that SOME of us could use more training. However, one must admit, observing total egocentrism busting out of a tiny package can be pretty darn comical. I remember one such incident following a Preschool Christmas Program. This was a Church Preschool and the program was a musical reenactment of the birth of Baby Jesus. As usual, the children had been practicing for weeks. The production was completed without a hitch and family members went into the children’s classroom for a celebration. 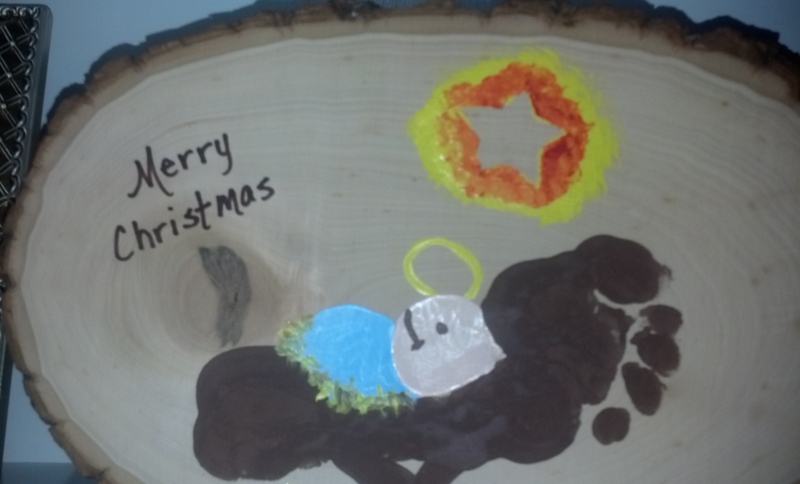 During this celebration, parents were given a handmade gift…a round piece of wood with their child’s footprint representing the manger scene (see picture above). My charge and I sat on the couch later that day, admiring his work. I, of course, wanted to see how much attention he had been paying to the 30 minute Christmas Program he had just performed. The one he had been practicing for the past month. The one the teachers had been reading books about all month, etc., etc. “Oh, that’s just me,” he said, casually. “I see…and what’s this big thing in the sky?” I asked, as I pointed to the Star of Bethlehem. “That’s the sun shining down on me so I’ll stay warm.” He said, nodding enthusiastically. “Well that was lucky for you, huh? So, what’s this round thing over your head?” I’m almost afraid to ask. “Well, thank you for teaching me about the true meaning of Christmas,” I said, giving him a little hug. “I know a lot more than you, cause I go to school every day,” he answered, hopping down and running to play with his dinosaurs. This is the only time in life that being a total narcissist is even remotely cute. Every year I attend the Christmas programs of my charges, and this year was no exception. Yesterday I sat through a beautifully preformed holiday musical event that left every adult eye tearful, and every heart properly full of Christmas cheer. I too, was honking loudly into a tissue, less than three minutes into the program. However, at any such production, I am plagued with an involuntary, neurotic eyelid twitch, coupled with an itching anxiety…and these things are attributable to one tiny, two year old boy, who was my charge many Christmases ago. It was the day of the Christmas Sing-along for my charge’s two-year-old preschool class, and since both of his parents had to work that day, I would be attending, and filming their son in action. It was the tot’s very first performance, and family members from all over the country were anticipating the arrival of my video…No pressure, though. I arrived early and secured a prime spot for filming on the floor, directly in front of the seating area. When the children were marched on stage in three rows, I was happy to discover that my charge was placed front and center. Everything was perfect. The lights dimmed, Christmas music began to play and a spotlight shone directly on the happy children, who all began to sing “Jingle Bells”… with the exception of one…my charge. It appeared as though my charge had discovered his “Special Friend” with his right hand. For this purpose, we will call him, “He who is always with us.” Not only had my charge discovered the presence of “He who is always with us,” he had determined there were many interesting and pleasurable ways in which to manipulate him. Although I was thankful he was singing, and his eyes were focused on the crowd, as opposed to “He who is always with us,” I was still not able to raise the camera and film the child for his adoring family. This was due to the fact that my charge chose to pluck at “He who is always with us” in time with the music, as though it were some type of attached string instrument, while he sang along with great enthusiasm. The song ended and my charge smiled proudly, clearly enjoying the applause. The music for “Rudolph the Red Nosed Reindeer” began, and the children sang, and acted-out the much loved classic. Again, there was one exception…my charge. He was once again “strumming” his new-found instrument and singing along with great gusto. I noticed he was even tapping his foot along in time with the music. I can say this for him…he has rhythm. By this time, the murmurs have turned into outright snickers and giggles. Cameras clicked all around me, and I noticed more than one aimed directly at my charge. I put my forehead in my hand and waited for the song to end. When it finally did, my charge, once again, bowed proudly, waving his hands in the air, as though he had just won American Idol. Thankfully, the two-year-old class sang only two songs and exited immediately, which was extremely fortunate, because by this time, I appeared to a have severe and unmedicated case of Tourettes syndrome. I was twitching away, while shouting out small words and phrases that I tried to cleverly disguise as coughs or sneezes…”Stopdoingthat” and “Letgoofyourdinky!” This was not one of my better ideas and very clearly did not produce the desired outcome. I continued to twitch and stutter, searching desperately for positive verbiage. “You have really great rhythm, honey,” I said, knowing he had no idea what rhythm was. “I know, he continued, I’ve been practicing EVERY DAY at school.” He said with a toothy grin. “Wow…every day…I’m sure that was a lot of fun.” I answered. Driving the boy home, I was consumed with how to tell his family that I was unable to video even a moment of his very first Christmas program, while the tot cheerfully kicked the back of my car seat, humming “Jingle Bells.” I settled on a condensed version of the story, apologized profusely and made up some excuse about the large crowd and complete lack of sight-lines. The family was, of course, disappointed, but given the alternative…? As luck would have it, a note arrive at the house from the preschool three days later, announcing the sale of Christmas program video tapes. The child’s mother was absolutely elated and rushed to order three copies…one for the nuclear family, and one for each set of grandparents. Again, I put my forehead in my hand and rubbed away the oncoming tension headache. My eye began to twitch. It was time to call the dreaded meeting. 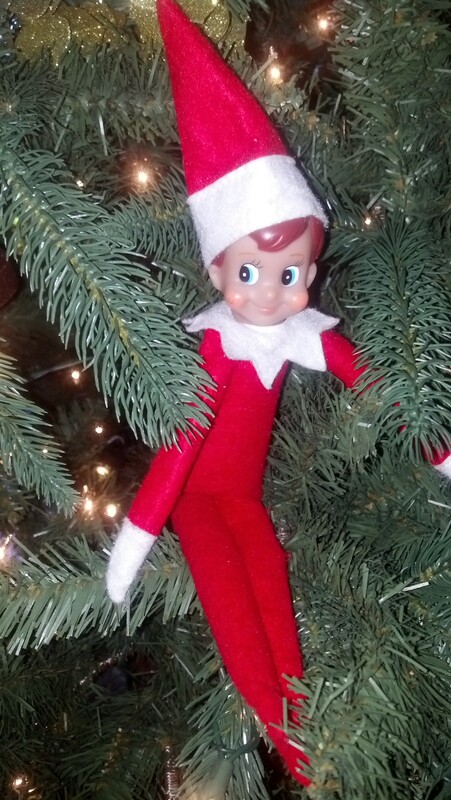 With Christmas just around the corner, we have been reading the story of “The Elf on the Shelf,” which comes with a toy version of the elf. Ours is called “Chippy”. A name as irritating as his smirk. Chippy sits quietly in various places around the house with that screwy smile on his face, and gathers counterintelligence for Santa. He then allegedly reports said intelligence to Santa personally, on a nightly basis by way of magical flight. The point of this is quite clear, to influence behavior, turning naughty into nice out of concern for gift reduction. “He’s Weal.” whispered the three year old conspiratorially. “That’s right, I said. And he’s talking to Santa every single day, to let him know if you are being naughty or nice.” Might as well ride this pony as far as it will go, I figured. The tots looked anxious as they silently recounted their crimes for the day. But lunchtime came, and their personal transgressions were quickly replaced by chicken nuggets…the absolute nectar of toddler-gods everywhere. Immediately following lunch, as I bent over to pick up a dropped spoon, I spotted something strange under the table. 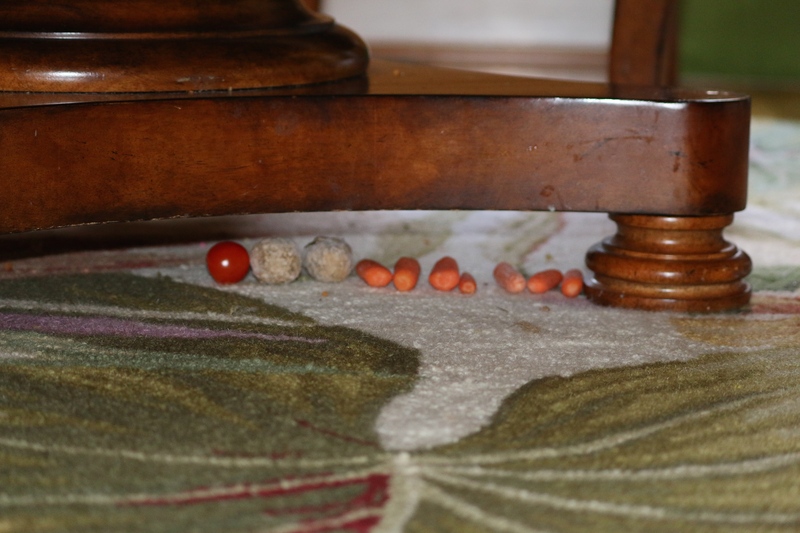 Sitting in an oddly perfect line, directly under the table leg, were a good number of carrots, two petrified meatballs and one mushy tomato. Okay Chipster…I’ll give it to you. Satisfactory work, given the circumstances. However, those of us who slave away every day, shaping the behavior of our world’s youth, cannot afford the luxury of doing so a measly 2-3 weeks a year. No Sir! No more seasonal work for little Mr. Chippy! Our house elf will sport bunny ears, turkey feathers, a tooth collection bag, and he will spy for every gift giving figure known to modern man! Then…and only then, you might begin to earn that wildly abrasive sneer you wear upon your little plastic face. Well, it’s Thanksgiving again, and my four year old charge is celebrating with out-of-town family members and friends. The house is full of hungry people and buzzing with lively activity. Proud Grandparents are doting on expectant children, and the enthusiastic tots screech and clamor for their attention. 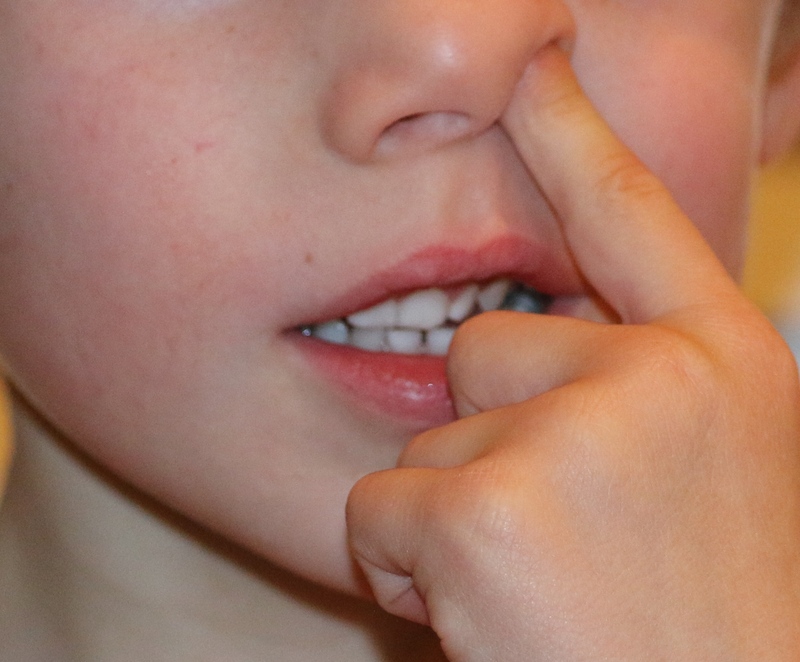 My charge, who has been bellowing like some sort of injured animal, while simultaneously banging his older cousin over the head with a cardboard paper towel tube, suddenly stops in the center of the activity and begins to thoughtfully and aggressively excavate the contents of his nose. After a good deal of burrowing, clawing and dredging, he locates a hidden treasure and holds it proudly upon his forefinger for all to admire. 2) Wipe it on one’s neighbor. He is undoubtedly weighing his options as he looks back and forth from the gelatinous glob, to the back of his little sister’s holiday sweater. However, number one most assuredly wins out, being the more tasty and most popular choice among most red blooded, American boys between the ages of two and ninety-six. And there you have it…Another case of: Right rule — slight miscalculation in the application thereof. I know I said I would update on a bi-weekly basis, but occasionally, a little something happens that warrants sharing. A few days ago, I was preparing my five year old charge for preschool. 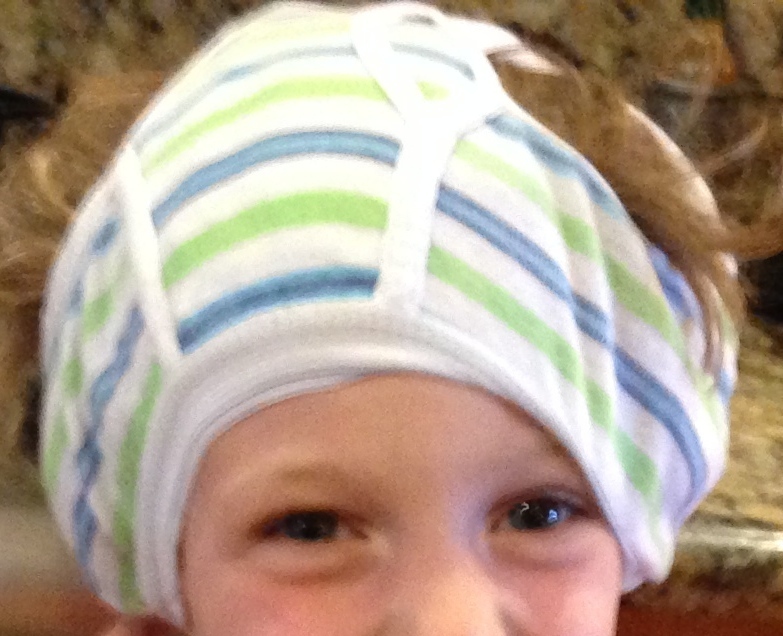 Upon removing his pajamas, I made the same discovery I had been making the past month or so…a sagging 12lb ‘Pull-Up’ (‘Pull-Up’: proper noun/ disposable training pants for toddlers, that pull up and down like regular underwear). This was most definitely not this child’s prior norm, so I decided to approach the subject with him…AGAIN! “Uhm-hum,” he grunted in response, absently pressing icons on his iPad. “Uhm-hum,” he grunted again without removing his eyes from his beloved iPad. Here he interrupts my speech by turning from his iPad and facing me with a huge sigh and roll of his eyes. He is clearly emotionally exhausted by the entire conversation as he silently pleads with me, hands extended in front of him, palms up. Very dramatic. With that, he turned back to his iPad. Conversation over. Okay, I get the whole generational gap here, and understand that there are a good number of things that I am not hip enough to grasp. But, could someone please tell me when emptying one’s bladder became such a fatiguing affair? Lastly, I think someone out there ought to get busy inventing ‘Pull-Ups’ for teenagers, because this one might just refuse the “hustle and bustle” for a long time to come. Today the children and I are visiting the zoo, and as luck would have it, the temperature is a brisk 96 degrees in the shade, with 87% humidity. The children love the zoo, and we visit often. Oddly enough, some of their favorite attractions are the many life sized bronze animal statues that are scattered around the park. These seem to have more of a draw than the actual live animals. Children climb and play on the statues, and there is quite a bit of whining and complaining when it is suggested that we move forward. 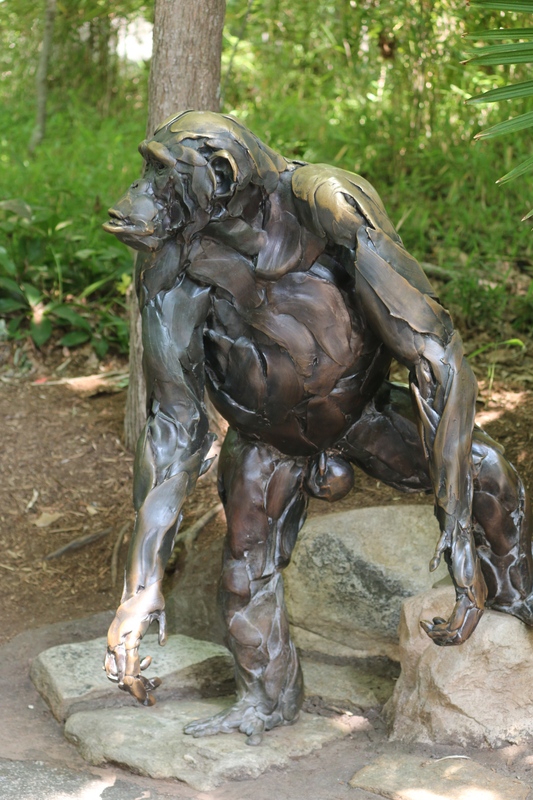 Unfortunately, I find myself in a repeated sticky situation when we go to the zoo, and it begins on the thickly forested path called “Primate Pass.” This winding path leads directly to the newly redone chimpanzee habitat, and is lined with several life-size bronze chimpanzee statues in various natural poses. It wasn’t until I walked along “Primate Pass” for the first time, that I realized a full grown, male chimpanzee, in a standing position, is approximately the size of a human adult. The statues are (of course) anatomically correct, and there is one particularly large male statue, posed in a very manly stance, directly at the path’s edge. The two children in my charge at this time, are drawn to this strapping fellow like a magnet to metal. They cannot help themselves. They run straight for the giant pendulous testicular area, which happens to be directly at face level for small children. They fondle, hang from, and poke at the thing with sticks, while people walk by, and either comment to one another, or avoid eye contact, rushing past as quickly as possible. On this particular day, I am dealing with the situation by standing on the opposite side of the path, directly across from the children, studying a nearby plant with great intensity. I try to notice every minute detail. It’s so…green and…leafy. I’m thinking this might make people believe the children belong with somebody else. “Nanny!” shout’s the four year old. People on the path look around to see who he is calling. Rats! I’ve been outed. “Yes, what is it?” I ask. I am aware that I am sweating profusely as I make a curt “let’s go” gesture with my hand and turn to leave the area, hoping just this once, the two tots will follow, no questions asked. As if on cue, the two year old hits the ground and let’s go with an ear splitting, snot slinging temper tantrum. So much for skulking out quietly. As usual, I must pick up and carry the kicking, spitting child from the area. I (very firmly) instruct her elder sibling to follow silently. Also, as per usual, the two year old is not going without a fight. Today she grabs the huge, pendulous “monkey berries” with a death grip, and we have a short game of tug-of-war before I am able to pry her little hands from the bronze genitalia. The crowd stares on, frozen in amazement, or is it amusement?